Spring Cleaning - monemades Webseite! Why these Rockpool Mitts (pattern in Knit Now Magazine issue 62) ended up there, even though half an hour of knitting time would have been enough to finish them, I really don't know!? ! I really love how the pattern looks in this colour, so what made me stop working on them?. 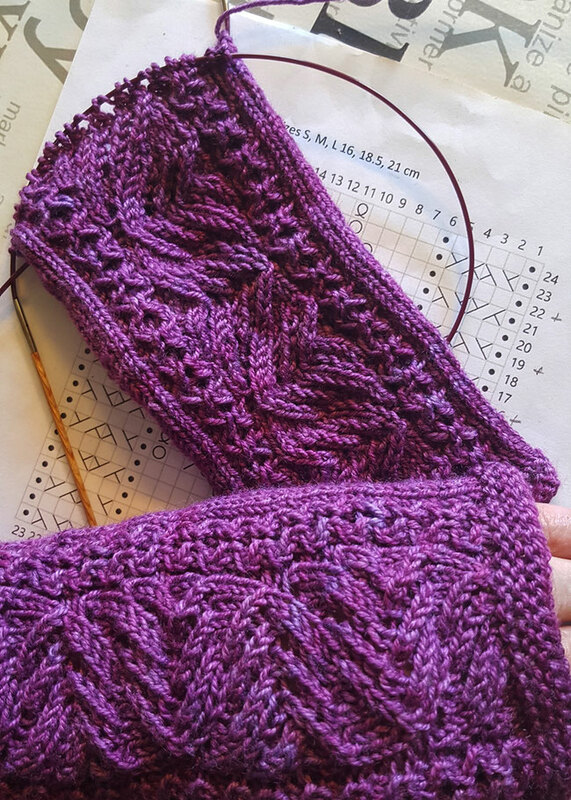 Seems I get distracted easily... Now to knit the last couple of rounds and free some needles and also finally finish the pattern files... Time the pattern got re-released, don't you think?